Leave the M4 at Junction 47 (signposted Swansea W) then at the roundabout, take the 3rd exit onto the A48 (signposted Gorseinon, Penllergaer). 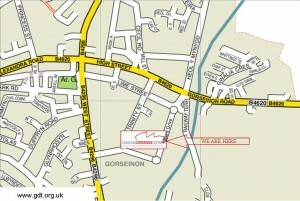 At mini-roundabout, continue forward onto Gorseinon Road – A4240. 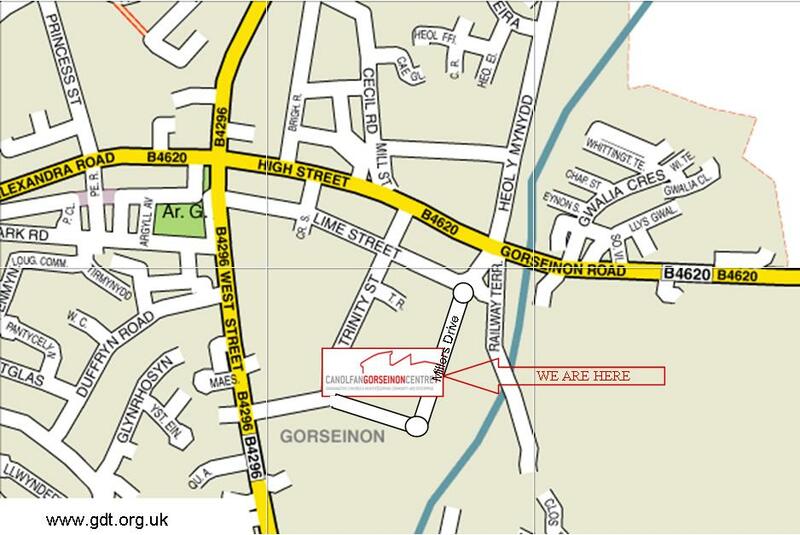 At next roundabout take the second exit onto Gorseinon Road – A4240 (signposted Gorseinon) and continue forward until you reach the traffic lights near the Bryngwyn public house. Turn left at the traffic lights, going straight on through the roundabout and turn right into the Centre car park.